No Comments on Sugar and milk, your Highness? His employees address him with “His Highness”, in the public and media world, he is the “Prince”: Alexander Prince of Schaumburg-Lippe is an entrepreneur, forest manager and head of one of the oldest German noble families, whose history is documented over 900 years. 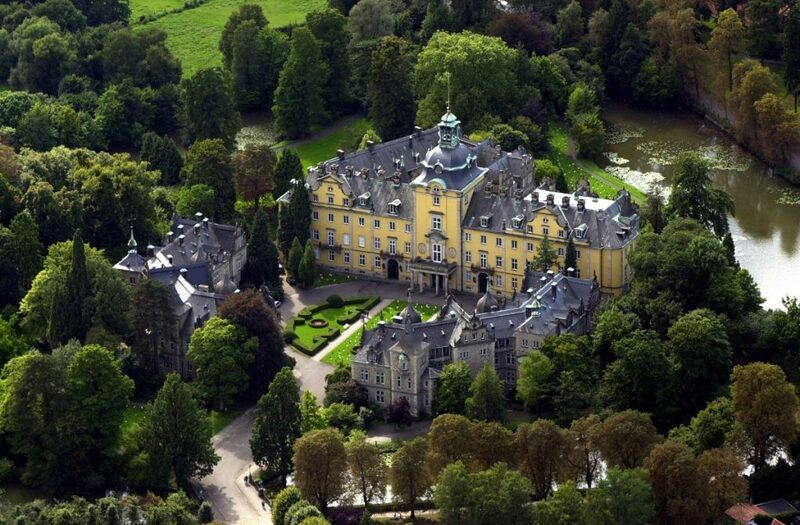 And he is the landlord of Bückeburg Castle, a Renaissance ensemble with magnificent halls from four centuries. It is situated in the middle of an extensive landscape park, which is also open to the public. 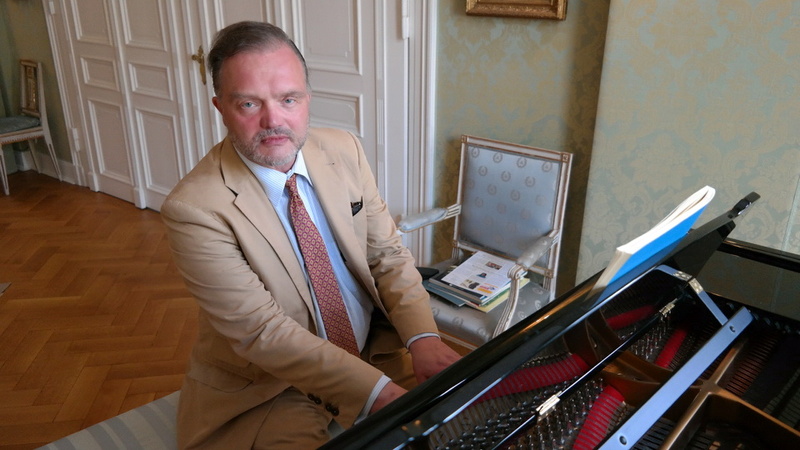 I meet the studied lawyer, who is the father of three children (son Donatus from his marriage to Princess Lilly and the daughters Philomena and Felipa from his marriage to lawyer Nadja Anna) and also an excellent pianist, for tea in his private rooms at Bückeburg Castle. MyStylery: Alex, how do you prepare your son Donatus for the succession of the house Schaumburg-Lippe? Alexander Prince of Schaumburg-Lippe: I encourage him to take on as much responsibility as possible, what he does with great success. Donatus was the first German to be accepted to the Sandhurst Military Academy and to serve in Household Cavalry. At university, he was elected President of the Student’s Association in the first semester of business administration. And he is involved in various sports clubs. If my son decides to run our business on his own and not just on a temporary basis, then he is well prepared for this task. MS: And what if he’d rather be a pop star? MS: …who could also take over the establishment? ASL: They can’t inherit. It is decreed in the will, that the core property, the traditional inheritance, can only be passed on to the first-born son. MS: Is this still contemporary today, where attempts are being made everywhere to establish women in management positions? ASL: This has something to do with our family traditions. So, my son could therefore also appoint a female plant manager if he doesn’t want to take an active part himself. MS: According to your own statement, you were rather a mediocre student who, instead of paying attention, preferred to read Asterix under the table – which promptly led to a “not passed” on your school report. Would a boarding school have been an option for you? ASL: Well, it wasn’t like that everywhere. I was enthusiastic about some subjects and was also active, for example, as the editor of the school newspaper. I would have liked to go to a boarding school, because there you get the opportunity to make contacts, that last a lifetime. My mother probably wanted to protect me from the pressure, which was – at least in the beginning – exerted on new boarders. Therefore, I received even more pressure in Bückeburg because of my social exceptional position. My brother was sent to a boarding school due to his bad grades. Unfortunately, there have been considerable drug problems. That also had consequences for him. MS: You first studied political science, musicology and journalism, then switched to law, which you graduated with distinction. When you were 24 years old, your brother died in a motorcycle accident. All of a sudden you had to take over. How does your everyday life look like since then? ASL: I have to complete a list of appointments every day. There is no everyday routine. In principal, we are an agricultural and forestry company, with a real estate pillar, the events “Landpartie” (“Country outing”) and “Weihnachtszauber” (“Christmas magic”). They have become an important branch of industry in which one hundred employees work and in which the amounts implemented are well into the seven-digit range. There are 13 permanent employees in the court chamber. In addition, there are about 70 employees from agriculture, forestry and gastronomy. MS: You were once a ruling house with political and social responsibilities. Do you regret that the time of the ruling princes is over? ASL: No, I’m a convinced Republican. Today we have a very good political system, which does not need to be replaced by anything else. That’s the reason I am not crying a tear after the monarchy. But I respect it very much in other countries. MS: What do name, origin and family history mean to you? ASL: When you are so strongly embedded in your own family history, it also creates identity and that is something I value. That doesn’t make me a political right by a long shot, but rather gives me certain tasks and responsibilities. And of course, a certain pride in what my ancestors achieved. I associate this with a sense of commitment that I shall have to do them some justice. ASL: Every aristocrat who identifies with his origin experiences this in certain gradations. 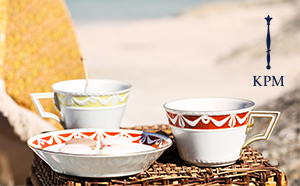 MS: Tea culture was always considered a sign of the aristocracy and used to be reserved for it in the 17th century. Is tea your drink? ASL: Tea is a sociable and cultivated drink, where you can already tell the difference if you are dealing a good or a bad plant. On the plane, I once met an Indian who told me that the tea he planted was delivered to the English royal house. But only the tips, which are reserved for the Queen. Tea has something meditative about it because it almost forces you to internalise and concentrate on the aroma. A drink to be consumed with caution. However, I like to start the morning with a coffee. MS: You’ve been divorced for the second time in six months. With Mahkameh Navabi there is now a new woman at your side for three years. ASL: It’s hard to say. However, I exclude one thing: having children again. MS: Have you experienced your divorces as personal disappointment or even defeat? ASL: No, why? If a partnership doesn’t work anymore, then it’s better to separate. Everyone has only one life and everyone makes their personal life decision, which is also not to be criticized. Former Chancellor of Germany Gerhard Schröder married five times. When you enter into a partnership, it is initially designed for the moment and not automatically for a lifetime. One should not cling desperately to conditions that can no longer be saved. MS: Have you ever felt the need to just throw everything away and quit? ASL: I often felt the need to do something new from an entrepreneurial point of view. Without the events in the castle it would not be possible to maintain the house in this elaborate form. For example, the medieval balcony in the inner courtyard has to be completely removed and renovated. MS: Bückeburg is a cultural monument. There are certainly subsidies. ASL: There has been generous support for the preservation of the castle chapel, whose dome almost collapsed. But we cannot count on this every time. MS: What does it cost to maintain Bückeburg in this perfection? ASL: A very high sum, of which one could easily place a very beautiful family house on a green meadow. I would like to leave the house in a condition that makes it as easy as possible for my son to keep it. ASL: It never completely left me. Anyone who knows my Facebook page knows what that means. I quote, but I also express myself. And invite people to discuss controversially. MS: Does that indicate a certain need for disclosure? ALS: That’s a strong word. I try much more to participate in political decision-making. That’s why I’m politically active in the FDP. MS: Has it ever been an option for you to take over a political office? ASL: I’m not big-skinned enough for an official position. Politicians in Germany are more exposed to blasphemy and general criticism than in any other country. I couldn’t deal with that for myself. MS: Do you have a political role model? ASL: I have always found Guido Westerwelle’s thinking to be particularly pragmatic and rational. Someone who did not allow himself to be taken in by ideologies. We were friends and he was often here in the house. He was the man who convinced me to become a liberal. MS: Why are there so many nobles in the AfD? ASL: Every aristocrat in the AfD is one too many in my view. I am related to Beatrix von Storch and have always considered her to be a clever and differentiated person. I can’t understand what she’s doing today. I have never been able to share her political attitude. A party in which people like Björn Höcke conduct the big word. A party that gives the so-called popular feeling of the people a questionable platform. This party is not conservative but dangerous and does not promote social peace. And by that I don’t just mean its policy on foreigners. MS: Bückeburg looks a bit like the Sleeping Beauty Castle. Does it haunt here to any extent? ASL: There has always been talk of a white woman who haunts in the so-called “Emperor Chamber”, but she has never been seen before. Once we had a troop of hobby ghost hunters with big equipment. After a week, they presented me a photo with a shadowy face they had taken in the tower of the inner courtyard. I lived vis-à-vis at that time. Presumably the face is my own. MS: The castle has 250 rooms. How long does it take to walk through all the rooms? ASL: Interesting question, but I’ve never tried it. MS: The Great Banquet Hall is famous. Do you associate it with special events? ASL: When my son turned 18, I threw him a party to which 130 friends were invited. Those were three very amusing days. MS: So, did you have to carry them out afterwards or could they still walk themselves? The assets of the House Schaumburg-Lippe include 3,700 hectares of forest and 500 hectares of agricultural land. 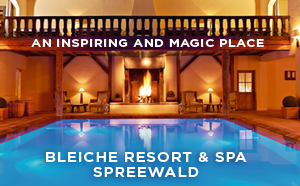 In addition, the family owns 7,000 hectares of mountain forest in Austria and several properties. 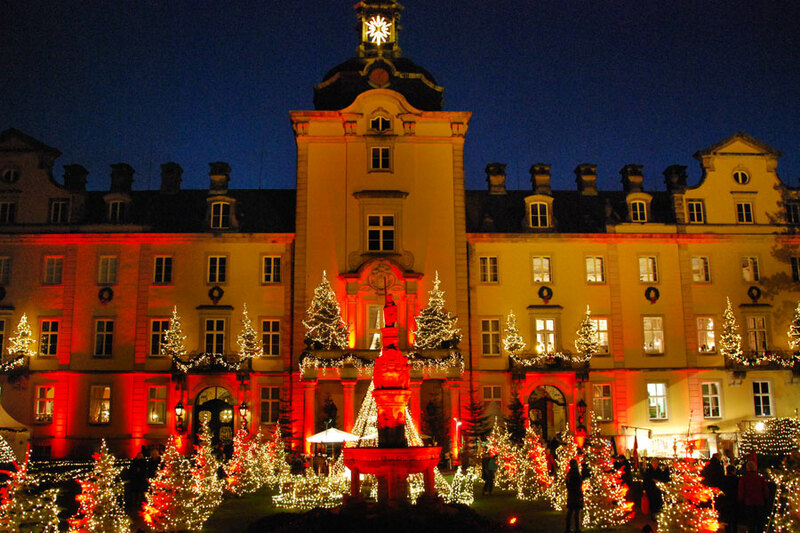 Alexander Prince of Schaumburg-Lippe opened castle and estate to the public with events such as “Landpartie” (“Country outing”) and “Weihnachtszauber” (“Christmas magic”) – this year from 29 November to 9 December, which attract more than 90,000 visitors every year. Since 2004, the Bückeburg Court Riding School has also been on display. In the 18th century, it was one of the most important centres of equestrian art in Europe. Many celebrities were guests in the castle: King Hussein of Jordan, King Willem-Alexander of the Netherlands, Prince Henrik of Denmark, Mikhail Gorbachev as well as the politicians Guido Westerwelle, Philipp Rösler, Friedrich Merz and Christian Lindner. The interview-series “Meet me for Tea” is sponsored by KPM – Königliche Porzellan Manufaktur Berlin. More MyStylery interviews you’ll find here.